LetUsConnect Farm will have multiple levels of oversight starting with LetUsConnect who will have an Advisory Board with a diverse range of expertise and qualifications to advise and direct all aspects of the business. LetUsConnect Farm is in the process of filling these board positions. 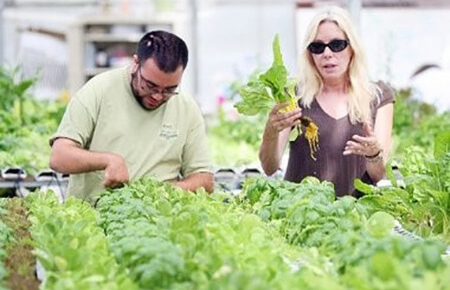 LetUsConnect Farm will also have an Operations Manager, who will oversee the general operations of the greenhouse as well as the Greenhouse Manager, the Employment Facilitator and the volunteers and student interns for the organization. The greenhouse manager will be an experienced hydroponic grower who will be in charge of health and production in the greenhouse. The Employment Facilitator will be in charge of training and managing the employees. The Employment Facilitator will work closely with the partnering organizations such as Family Resource Network and various group homes staff utilizing employment support. “Natural Supports” are the main foundation of this employment model, which implies that work will occur in an integrated and individualized work environment alongside non-disabled peers.